You pretty much are all familiarized with the new Apple iPad by now. We have posted full specifications, prices, a promo video, and some additional information in case you want to find out more about the device. We have learned the iPad DOES NOT have a camera, USB ports, SD card slots, and Adobe Flash support. It pretty much is a bigger iPhone, but with no phone. Actually, let me rephrase that because the iPhone does have a camera. It basically is an iPod Touch with a 9.7-inch screen. With that said, what do some of us here at Erictric think about the Apple iPad? Check out our answer after the break. Bertrand: The iPad is definitely NOT the history-changing device everyone thought it would be. From what we seen so far, it has nothing innovative about it. If anything, it is really a big disappointment. All the hype leading up to the event this morning has left a bad taste in our mouths. To be honest, even some of the mockups we have seen all along look much better. The first thing that came to my mind when I first saw the iPad was that it looks a lot like a digital photo frame. Sure it does all these great things, but so does my computer and my phone. I simply do not see any use for it in my everyday life. We can conclude that it definitely won’t replace computers, netbooks, smartphones, nor any other electronic device. Another Apple event, another let down. Eric: I’m very disappointed. My initial thought upon seeing the unlock screen was, “are you kidding me?” What we have is an enlarged iPod Touch that isn’t so portable. I’m still thinking Apple’s playing a big joke on us with the software. As for the hardware — no camera? Really? Do you think I’ll be getting one of these? Absolutely not. 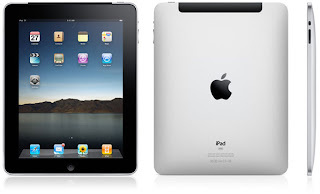 Tell us what your impressions of the Apple iPad are. Will you be buying one whe it’s available?